Bernie Nolan signed 11x8 inch photo. Bernie Nolan, signed 11x8 inch photo. 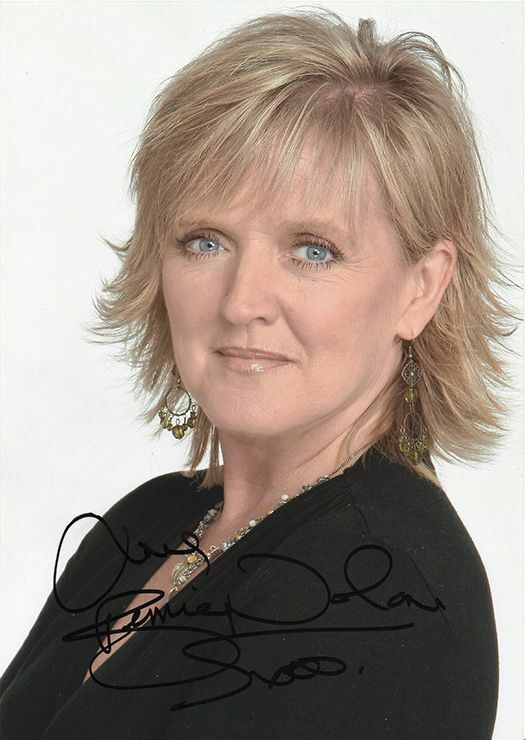 11x8 inch colour photo personally hand-signed in black sharpie pen by Irish actress, singer and television personality, Bernie Nolan. Bernadette "Bernie" Nolan was lead vocalist of Irish girl group The Nolans. The Nolans began in 1974 and went on to have seven UK Top 20 hits. She left the group in 1995 to become an actress. Her television work included Brookside and The Bill.